(1) CHECK YOUR CLOSET. IndieWire, in “Robert Downey, Jr.’s Original ‘Iron Man’ Suit Stolen, Valued at $325,000”, says the LAPD is reporting that someone stole Robert Downey’s Iron Man costume from a Pacoima warehouse between February and April, although the theft wasn’t reported until this week. New work by Naomi Alderman and Juno Dawson are amongst some of the 2018 offerings for the Doctor Who list, publishing to celebrate the debut of Jodie Whittaker as the Doctor this autumn. 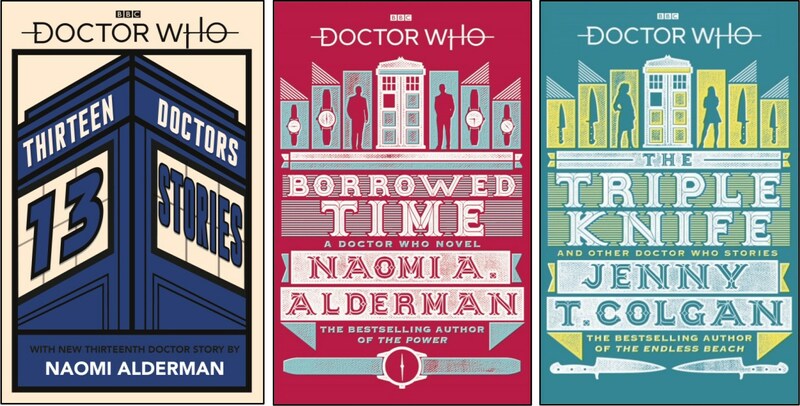 Penguin Random House Children’s imprint BBC Children’s Books today announces its acquisition of a brand-new Doctor Who short story from Naomi Alderman, author of The Power and winner of the Women’s Prize for Fiction 2017. Ruth Knowles and Tom Rawlinson of Penguin Random House Children’s acquired World Rights to the story from Veronique Baxter. Alderman’s tale features Jodie Whittaker’s Thirteenth Doctor battling to save the universe alongside her close and trusted friends. … Thirteen Doctors, 13 Stories marks Alderman’s return to the Doctor Who universe, after her 2011 novel, Borrowed Time, published by BBC Books. 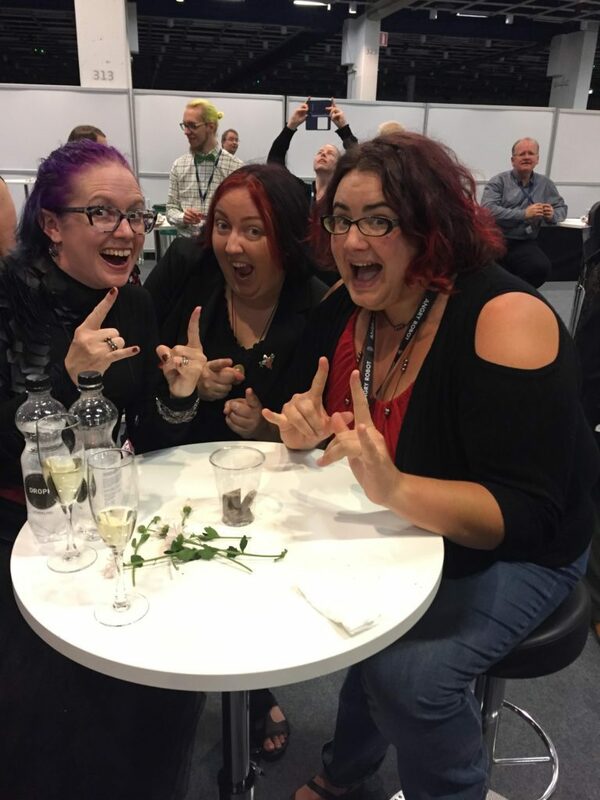 On 19 July, to celebrate the opening of this year’s San Diego ComicCon, BBC Books will reissue a new paperback edition of this novel, along with a new edition of collected Doctor Who stories by Jenny T. Colgan, The Triple Knife. Both will have new cover designs by artist David Wardle. (3) MONDAL INTERVIEW. 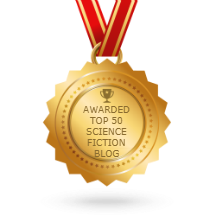 At Feminism In India: “Meet Mimi Mondal: India’s First SFF Writer Nominated For A Hugo”. The first Hugo Award nominee from India, Mimi Mondal is a speculative fiction Dalit author. She also received the Poetry with Prakriti Prize in 2010, the Octavia E. Butler Scholarship for the Clarion West Writing Workshop in 2015 and the Immigrant Artist Fellowship from the New York Foundation for the Arts in 2017. She currently lives in New York. 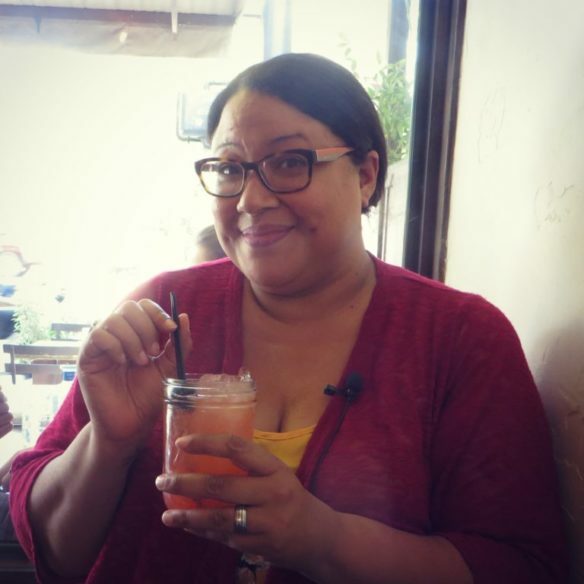 Her first book, Luminescent Threads: Connections to Octavia E. Butler, edited with Alexandra Pierce, is a finalist for the Hugo Awards 2018 and the Locus Awards 2018…. PV: Diversity is still treated as a token in most South-Asian mainstream media – an afterthought in a circle of people that wrongly attempts to adopt “colour-blindness” and “caste-blindness” instead of having the difficult conversation about privilege. How do you think we can change that? MM: Mainstream media is always socially conservative. New ideas and “radical” conversations always start from individual people, then smaller, newer media outlets and by the time the venerable national newspapers from the 19th century pick up those ideas, they have already achieved enough momentum to become somewhat mainstream. This is not only true of South Asia, it’s true of everywhere. In the West about a century ago, even basic first-wave white feminism was a radical conversation that was only possible to hold in certain small circles, and the people who tried to implement those ideas in wider circles were considered nuisances creating unnecessary trouble. Today in 2018 we cannot even imagine a world without those basic first-wave feminist ideas: women should go to school, have a vote, own property, etc. Even the occasional unintelligent celebrity who proudly declares she’s not a feminist has systematically benefited from those changes. We cannot convert everyone to our beliefs, even the ones who’ll directly benefit when those beliefs become reality, less so the ones who will lose some systemic privilege they’ve even never had to acknowledge they had…. well since i am my own BIG TIME BOSS i do not really have any deadlines except for to MYSELF and really this is the most important deadline at all. i think it is so important to CHALLANGE YOUR OWN WAY and think ‘what the heck am i capiable of?’ because the anwser is always SO MUCH MORE THAN YOU KNOW! YOU CAN DO WHATEVER YOU SET YOUR MIND TO! so then i will try to meet these deadlines of my own because it makes me feel good inside so anyway thats that buddy. but simple anwser is i will sometimes go to a nearby timeline where time is realtively slower than this one and that gives me a chance to write a lot and then put out new tinglers right away so when a big time event happens i can return to this timeline and be ready thanks. (5) VR ADVENTURE. Here’s a fresh update on Utah’s Evermore Park. A Fantasy Lover’s Dream. Fairies, dragons, trolls, and other magical creatures come alive at Evermore Park — a living experience park that brings fantasy to reality. It’s a first-of-its-kind “smart” park, combining old world mythologies and spectacular botanical gardens with stunning cutting-edge technology to deliver a one-of-a-kind experience where guests step into a story like never before. John King Tarpinian spotted some heavenly humor in Close to Home. (8) AI UMM. NPR suspects that “Google’s New Voice Bot Sounds, Um, Maybe Too Real”. On the first day of Google’s annual conference for developers, the company showed off a robot with a voice so convincingly human that it was able to call a salon and book a haircut – never revealing that it wasn’t a real person making the call. CEO Sundar Pichai demonstrated the new AI technology on Tuesday at the Google I/O conference, playing audio of a female-voiced bot speaking with a receptionist over the phone, and then a male-voiced bot making a restaurant reservation. The bot peppers its speech with “um”, “uh”, and “mmm hmm” in order to imitate the tics and rhythms of human speech. (9) FORMER BEACHFRONT PROPERTY. “Lonely asteroid tells Solar System story”. It’s in a trans-Plutonian orbit, but has minerals that could only be formed by liquid water. (10) SPACE POLICE GAZETTE. Ground control to…? “India police parade ‘Nasa conmen’ in space suits”. Indian police paraded a man and his son in “space suits” before arresting them for allegedly defrauding a businessman by pretending to work for Nasa. The duo allegedly convinced the businessman to buy a copper plate for $213,156 (£157,600), which they claimed had “special properties”, police said. They had told him that with his investment, they could sell the plate to the US space agency for a profit. My horror infographic @LitReactor has gotten a couple thousand shares; that's pretty freaking cool! https://t.co/qmQJDWgSPI Please do share with teachers, librarians, booksellers, fans, writers, readers–anyone who wants to learn about #horror or could use an assist explaining! (12) SCARES THAT CARE. The second annual Scares That Care telethon will begin on May 11 at Noon EST. The 24-hour telethon will be broadcast live via the Project Entertainment Network’s YouTube channel. This year’s goal is to raise US$20,000 to support the 501(c)3 charity. The telethon surpassed the 2017 goal of US$10,000. The telethon will be presented by the hosts of the award winning The Horror Show with Brian Keene; Brian Keene, Dave Thomas, Mary SanGiovanni, Mike Lombardo, Geoff Cooper, and Phoebe. Luminaries from the horror genre that are confirmed to attend include Richard Chizmar, Jeff Strand, Lynne Hansen, Dan Padavona, Discipline Theory, Chet Williamson, Stephen Kozeniewski, John Urbancik, Scott Edelman, Armand Rosamilia, Chuck Buda, Ralph Bieber, Somer Canon, Drew Williams, M. Stephen Lukac, Jay Wilburn, and Christian Jensen. Brian – a youngster that was a victim of a household accident that is recovering from significant burns. Hope – US Navy veteran and a single mother of two who is fighting Stage IV breast cancer. Sawyer – a young lady suffering from a unique form of cancer that causes new tumors. She has already survived two brain surgeries. Sawyer loves Minecraft and mermaids, but not Disney mermaids! WHAT: The Horror Show with Brian Keene 2018 Telethon – a live, 24-hour event that will be streamed around the world for free, during which we will raise $20,000 for charity. WHERE: In person at Courtyard Marriott 2799 Concord Road, York PA 17402, or listen for free from the comfort of your home. TO BE PART OF THE STUDIO AUDIENCE: Click here and buy a ticket. Limited to 80 people. The Horror Show with Brian Keene will be announcing more information via their FB page tomorrow. (13) TOLKIEN ON EXHIBIT. Horatia Harrod in “The Man who made Middle-earth” in the May 5 Financial Times has a long article about the forthcoming exhibition of 200 items from Tolkien’s papers at the Bodleiaan Library at Oxford from June 1-October 28. The 500 boxes of papers are preserved in a strongroom next to six large canisters of halon gas designed to preserve the collections. Half of Tolkien’s papers are still sealed. (14) SFF THEATRE WORKSHOPS IN LONDON. Cyborphic’s “Science Fiction Theatre Research Lab” for writers, directors and performers will take place 21-24 May at the venue of the London Theatre Workshop in central London (near Bank station). The workshops include: Introduction to Science Fiction Theatre, Adaptation, Worldbuilding, Devising Science Fiction Theatre, Directing & Writing Science Fiction Theatre. Registration is £10 per individual workshop and £30 for the entire series. (16) HE’S VERY SORRY. Deadpool 2 promo — David Beckham doesn’t want to accept Deadpool’s apology. (17) EARTH ATTACKED. And going to a soccer match might not be that safe anyway! More aliens are on the way! Occupation Official Trailer. (18) AND ATTACKED AGAIN. The aliens are going to have to stand in line, I tell you —The Predator Teaser Trailer. In Theaters September 14, 2018. 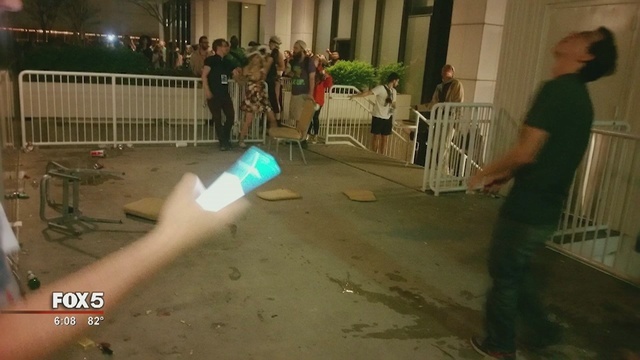 Two women were taken to Atlanta hospitals for treatment after being struck when chairs and bottles were thrown from the Marriott Marquis in downtown Atlanta on Sunday morning around 1:30 a.m. The Marriott Marquis is one of Dragon Con’s host hotels. Kelly McDaniel was walking in a first floor area of the hotel when one of the chairs hit her in the head. After treatment at the hospital, which used two staples to close the head wound, she gave an interview to reporters. “I feel this sharp pain and I thought maybe someone hit me with a water bottle saw chairs everywhere and someone dragged me inside. It was complete chaos,” said McDaniel. McDaniel heard loud pops and felt something wet and warm gushing down here face. “It was just so much blood,” she told Channel 2’s Rikki Klaus…. Paramedics rushed her to the hospital dressed in a Loki costume from the Avengers movies. McDaniel thinks the costume helped lessen the blow from the chair. “I really think that saved my life,” she said. McDaniel was one of two women who were hurt, police say. Both women were treated at the hospital and released. McDaniel is urging witnesses to call police. “I think they need to punished by the law for assault with a deadly weapon. I could have been really hurt,” she said. 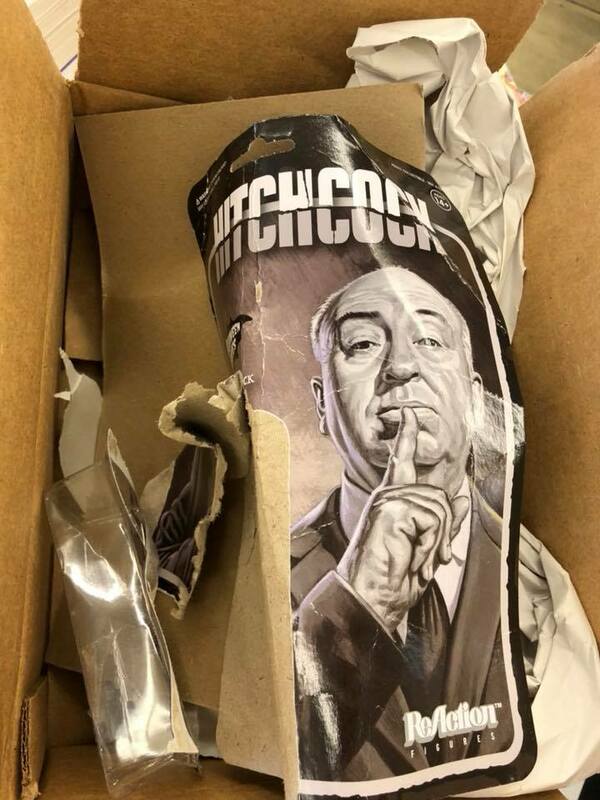 Two women at Dragon Con were injured at the convention early Sunday morning when two chairs were dropped from an outside balcony on the 10th floor in the Marriott to a landing below. The women were treated and released at separate hospitals. We are grateful that the injuries were not more severe. And we are proud of the Dragon Con attendees who stepped up quickly, realized the severity of the situation and provided immediate assistance. Atlanta Police Department is investigating. 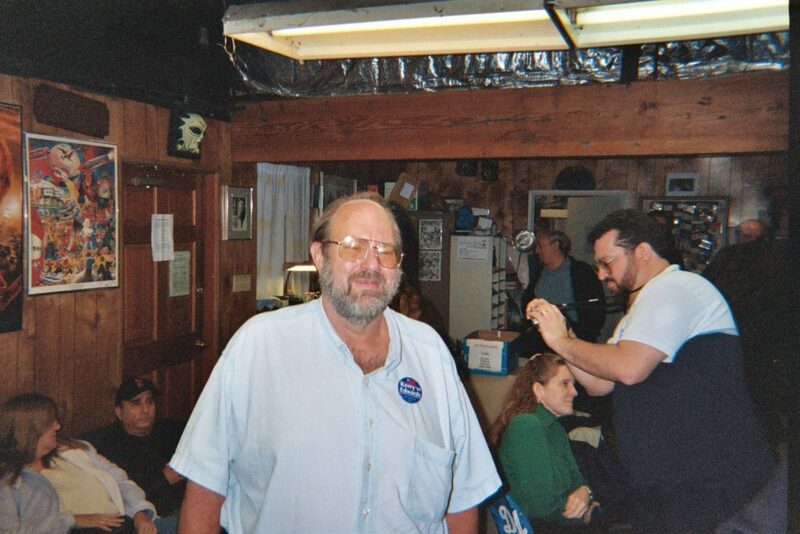 Dwain Kaiser at LASFS 70th Anniversary Meeting in 2004. Photo by Mike Glyer. LASFS member Dwain Kaiser (1947-2017) was shot to death on July 3 by a teenager who, together with his mother, lived with Kaiser and his wife in the apartment above their bookstore in Pomona. Dwain George Kaiser, 69, owner of Magic Door Used Books, was shot several times and killed just after midnight in his apartment at 175 W. Second St., in the downtown Arts Colony area, police said. 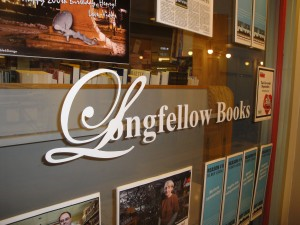 His apartment sits above the bookstore he and his wife have owned for more than a decade. The teen suspect and his mother shared the apartment with Kaiser and his wife, according to Pomona police Sgt. Brian Hagerty. The two families are not related to each other. Hagerty said they were roommates. It’s not clear what sparked the shooting. Kaiser became an active fan in 1961 after receiving a copy of Cursed, edited by Arnie Katz and Len Bailes. His family moved to Las Vegas in 1963 and the next year he founded the Las Vegas SF Society. When LASFS started APA-L in 1964 he began contributing a zine, and traveled to club meetings in LA when he could afford bus fare. He joined in 1965. The club had a place in his heart and he was one of the old-timers who came out for the LASFS’ 70th anniversary meeting in 2004, the last time I saw him in person. His first convention was Pacificon II, the 1964 Worldcon, in Oakland, CA. Kaiser opened his first Magic Door used bookstore in 1967, in Claremont. (He closed it to return to college to avoid the draft.) Over the years, Kaiser opened several more in the Inland Empire including one in downtown Upland. The current store in Pomona was his fourth named Magic Door. Dwain Kaiser was a highly active fanpublisher: a founding member of the amateur publishing associations APA-45 and TAPS, and the editor of many genzines, including Astron, Nimrod, Nonstop Fun Is Hard on the Heart, and No Time, No Energy & Not Much To Say. He is survived by Joann, his wife of 32 years. 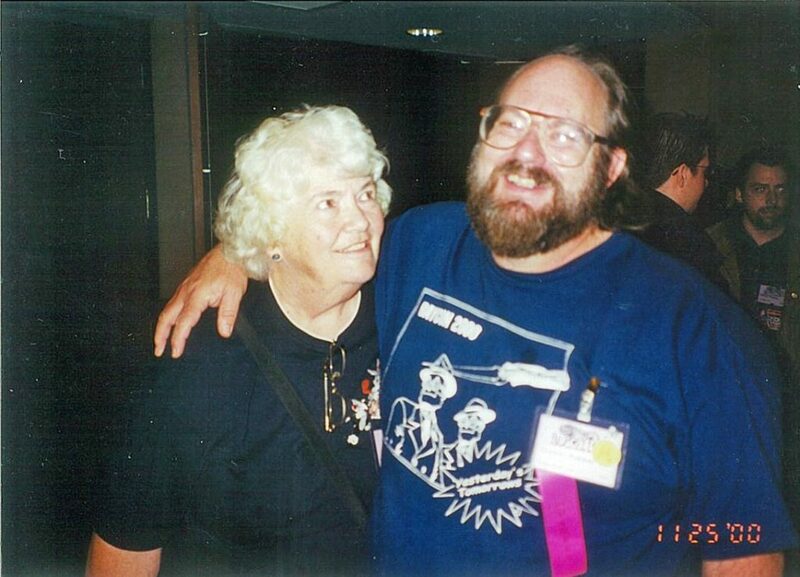 Joann and Dwain Kaiser at Loscon 2000. Photo by Dik Daniels. 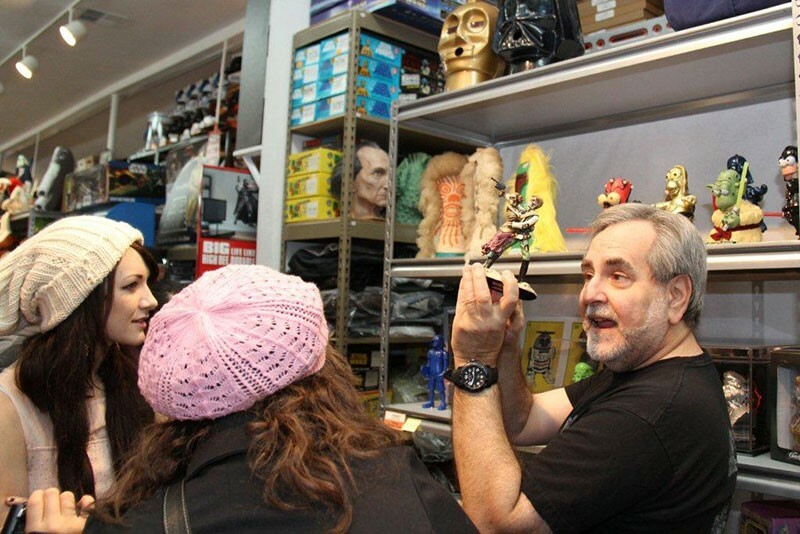 Steve Sansweet shows a Day of the Dead knockoff of Han and Leia to a visiting school group. Photo by Victoria Webb. 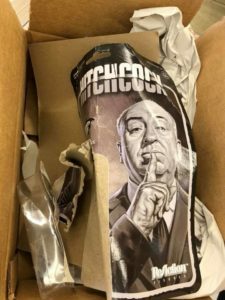 Steve Sansweet has publicized a major theft from his action figure collection, housed at Rancho Obi-Wan in Petaluma, CA. 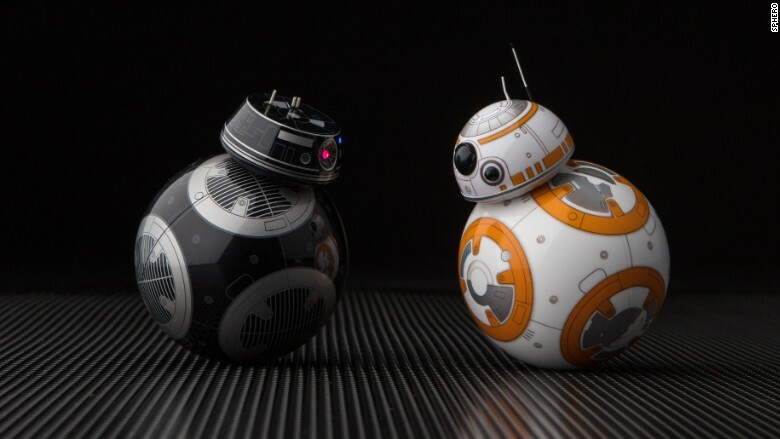 The author of 16 Star Wars books, Sansweet created Rancho Obi-Wan, a California nonprofit corporation, in 2011 to manage his vast collection of Star Wars memorabilia and artifacts. It also functions as a museum, and during the school year classes of students are given tours. …Carl surrendered on an arrest warrant from the Sonoma County, California Sheriff’s Department at the end of March and was charged with felony grand theft. He is currently free on bail with additional hearings in the case scheduled.